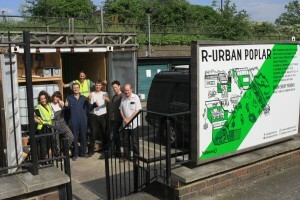 On Friday the 8th of June, Quantum Waste’s Javier and Eva joined the volunteers at Poplar’s community project, R-Urban. We helped the team with work on the anaerobic digester and the classroom. New planters were also added to provide more space to grow produce for which the digester will be producing fertiliser soon.